Some vehicles are built for everyone, that anyone can hop in and be content with. They don’t want to be recognized and just sort of blend in. Then there are vehicles for the unique, the outgoing, for people who want to stand out from the crowd. 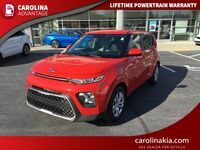 That is what you have with the 2015 Kia Soul in High Point NC. A unique vehicle for a unique individual. 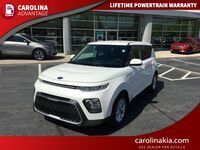 And the uniqueness of the 2015 Kia Soul starts right when you see it with its exterior. The vehicle has a well-crafted box like shape to it. This unique shape helps to maximize the interior space of the Soul, but more than anything, it helps it really stand out on the road. 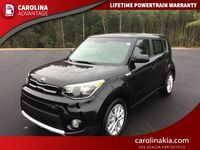 When people see a 2015 Kia Soul in High Point NC they can't help but look because the Soul demands your attention. 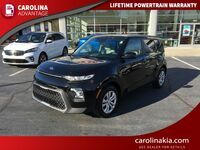 Interested in a 2015 Kia Soul? While the 2015 is grabbing onlookers’ attention from the outside, it will be grabbing the driver’s attention on the inside. The 2015 Soul has two different engine options amongst its three different trims. The first is a 1.6-liter DOHC I-4 that produces 130-horsepower and 118 pound-feet of torque. The second is a 2.0-liter DOHC I-4 that has a little more pep to its step, with 164-horsepower and 151 pound-feet of torque being produced. And while you are getting that enjoyable power out from under the hood, you know you will be well protected on the inside as well. 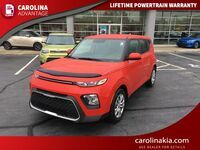 The 2015 Kia Soul comes with a variety of different safety features including dual front advanced airbags, full-length side curtain airbags, electronic stability control, a tire pressure monitoring system, and front and rear crumple zones. Where the 2015 Kia Soul really stands out is in the interior. Because of its unique design, people have more room inside the Soul than just about any other hatchback vehicle. With almost 100 cubic feet of passenger volume, the Soul still manages to provide ample cargo space. Plus, a luggage under tray provides even more space! 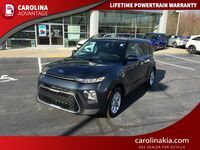 And while you enjoy the interior of the 2015 Kia Soul you can see all of the great technology features that Kia has put into it. These include feature like UVO eServices infotainment system, remote keyless entry, optional push button start, FlexSteer, 6-speaker sounds system with option Infinity Audio System upgrade, Bluetooth capabilities and more.